The field of Equine Facilitated Learning (EFL) has undergone a lot of changes in the recent years. There has been quite a controversy about how to name what we, who co-facilitate with horses in advanced personal development work, actually call ourselves and how we identify what we are doing. The Epona Approach™ and the work I am currently engaged in with Leigh Shambo at Human Equine Alliances for Learning (HEAL) both agree that the horses are our full partners in this endeavor. Their innate knowledge, wisdom, and accurate intuition guide us as human facilitators when we follow their lead and learn from these consummate teachers. 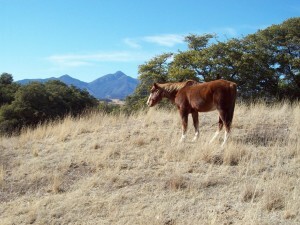 Some practitioners/facilitators identify themselves as practicing Equine Experiential Learning (EEL); Equine Facilitated Experiential Learning (EFEL); Facilitated Equine Experiential Learning (FEEL); Equine Facilitated Psychotherapy (EFP) Equine Therapeutic Learning (ETL); Equine Assisted Coaching (EAC), however I refer to what I practice as Equine Facilitated Learning (EFL). The following information is presented to shed some light on the various ways of working, and on what I feel are some of the most important principles and guidelines to follow as we continue this important partnership with the horse. Equine Facilitated Learning and the lessons we acquire from interactions with the horses is based on mutual understanding and respect. As professionals in this field we do need to be aware of the clients’ projections and transference involving ourselves and the horses, and our own counter-transference issues. Much of the information in the coaching profession as well as experiential learning has come from traditional psychotherapeutic principles and dynamics. Irvin Yalom, MD, considered by many as the “Father of Group Therapy”, says that with the current crisis in psychotherapy, there will not be enough trained individuals to do the work. “Psychiatry is on the verge of abandoning the field of psychotherapy. Young psychiatrists are forced to specialize in psychopharmacology because third party payers now reimburse for psychotherapy only if it is delivered by low fee (in other words, minimally) trained practitioners.” Even though Yalom is concerned about the current state of affairs, he is confident that a “cohort of therapists coming from a variety of educational disciplines will continue to pursue rigorous post graduate training. Equine Facilitated Learning can fill some of what is missing in the health care system . Individuals seeking change from old dysfunctional patterns of behavior and automatic responses based on unconscious motivations can find help and assistance through the Way of The Horse. Yalom says, “At its very core, the flow of therapy should be spontaneous, forever following unanticipated river beds” Therapy following a managed care protocol does not allow for spontaneity and reflection. The horses, as our teachers, and co-facilitators demand that we “go with the flow” and therefore, keep the interaction dynamic and in the present moment. Short Term Dynamic Psychotherapy, an area I studied extensively in post graduate work with one of my mentors, Dr Paul Rosenberg, works with the unconscious forces (the dynamics) of inner conflict by holding a supportive container for clients to experience in the present moment emotions and memories from the past. Much of the material and teaching I developed for educating students of EFL came from the theories behind this approach and the clinical experience of my clients. What I got to see for myself as I engaged more with the horses was that this dynamic was present in many of the sessions I conducted with a client and a horse. The challenge was how to develop a process in experiential learning that held the container present in a psychotherapeutic session. The container suggested in the phrase I call holding the sacred space of possibility was essential in establishing safety for both the client and the horse. Without suspension of judgment and personal desire for an expected outcome, a reflective round pen and any active or passive engagement with the horse becomes more of repeat of old behaviors and attitudes. “I am the expert and thus you and the horse should do this my way.” The facilitator’s understanding of their own unconscious forces or dynamics underlying their thoughts, feelings, actions and behaviors is absolutely necessary for the client and the horse to have a truly creative and innovative equine experience. The Johari Window, the Karpman Trauma/Drama triangle and the thorough study of projection, transference, introjection and countertransference are ways to enhance and support students participating in an EFL training program. If the student is interested, engaged and encouraged to explore these dynamics themselves, they will be far ahead of many who practice equine facilitated learning, equine experiential learning, psychotherapy and/or coaching. My own personal opinion around the discussion and controversy of whether to use the designation of equine facilitated learning, equine facilitated psychotherapy or equine assisted coaching when describing your practice is simply this, “Know thyself”. I believe if you know your personal style, understand your thought processes and emotions, and are actively and enthusiastically engaged in a relationship with any sentient being, the likelihood of a mutual and successful partnership is possible. The excellent facilitator is a mentor, a truth seeker, a challenger, and most of all someone who guides each person towards personal accountability, integrity, ease, and fulfillment. Our teachers, mentors, friends and co-facilitators, the horses say “Thanks for listening”.